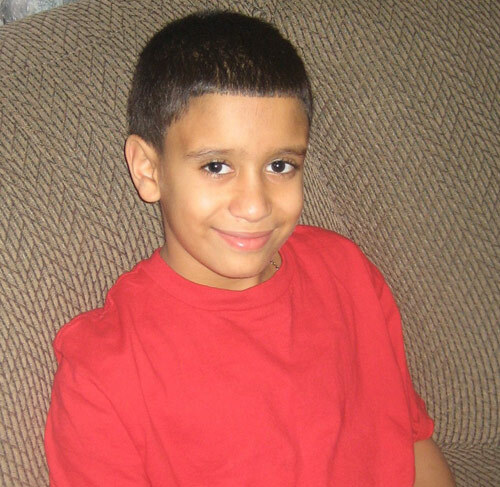 Happy birthday to DIPG Angel Javier “Buji” Villamil born April 26th, 1998. Buji was diagnosed with DIPG just short of his 11th birthday April 13th, 2009 and fought for eight and a half months until he left this world at peace in his own home with his mother and father on January 4th, 2010. Buji was a very athletic young man who enjoyed playing baseball in a pee-wee league and basketball on an all-star team. Our thoughts are with his family and his aunt, Cristian Rivera Foundation Committee Member Fulvia Lora on his 14th birthday today. Rest in peace, angel.